I have re-enabled user accounts I hope that I will be able to help users with questions about my projects to get through any problems they might have as well as hear about your great projects too.Feel free to read about my projects and enjoy the information I share, I will soon be posting ALOT more often this will help me and my users be able to go back on the many many projects I am involved in. You can find me on Facebook on my "Acetolyne Projects" page and on Twitter @cetolyne Have a great day hope you enjoy the site! Lately there has been a lot of talk about the website http://www.iknowwhatyoudownload.com where you can lookup any ip address and find the torrents they have downloaded. 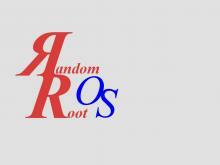 Many people are concerned about the publicity of their torrent downloads. We should all be concerned about our privacy now days. Many are seeing this website as a negative thing which it does seem to be, so I started thinking how can we turn this around and make it a more positive thing for us as hackers? This is how to disable the Windows 10 upgrade being offered to Windows 7 and Windows 8 users. Many users do not want to upgrade their Windows at this time but do not know how to disable all of the notifications and the update itself. This video I made shows you how to take care of those pesky notifications and stop Windows from downloading and installing the Windows 10 upgrade. Please subscribe to my new YouTube channel, I will have many more videos coming soon. I have recently started development with the CherryPy framework to create a python based webserver. In pretty much any website with users you want to create sessions and CherryPy offers a great set of commands to manage user sessions. There is quite a bit of documentation provided about sessions and managing them, also some great code examples. However even with the code examples and searching with Google I found it rather difficult to figure out sessions despite my years of developing with PHP. After updating my Ubuntu system my display was broken, I did some research and found many people were having the same problem. It seems due to the new kernel I installed the Nvidia drivers were not working correctly. After a little research and a short trial and error period I got it working again. These steps may not work for you but perhaps it will help some of you atleast. I would like to introduce you to a tool I just started using called Variety. 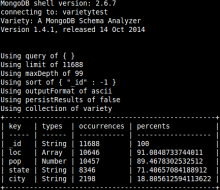 This tool allows one ot analyze the schema of a MongoDB Database. While it is true that mongo is a schemaless database it is still important for database administrators to keep records of the layout. This will help the administrator keep track of what sort of data is kept in each database and in each collection. It will also help development teams plan with ease future expansion and scalability options. Recently I needed to upgrade a site that is running Plone, so that it would not add new news items that were listed on the main page to the navigation bar. I thought I would share what I found worked to achieve this goal. If you don't know what Plone is it is a JAVA based CMS ( content management system ) Like Drupal or Wordpress etc. except it is written using the JAVA programming language instead of PHP. Today I would like to share on of my new projects, the project is still in early development at this point but I thought I would give you an early primer for this upcoming project.